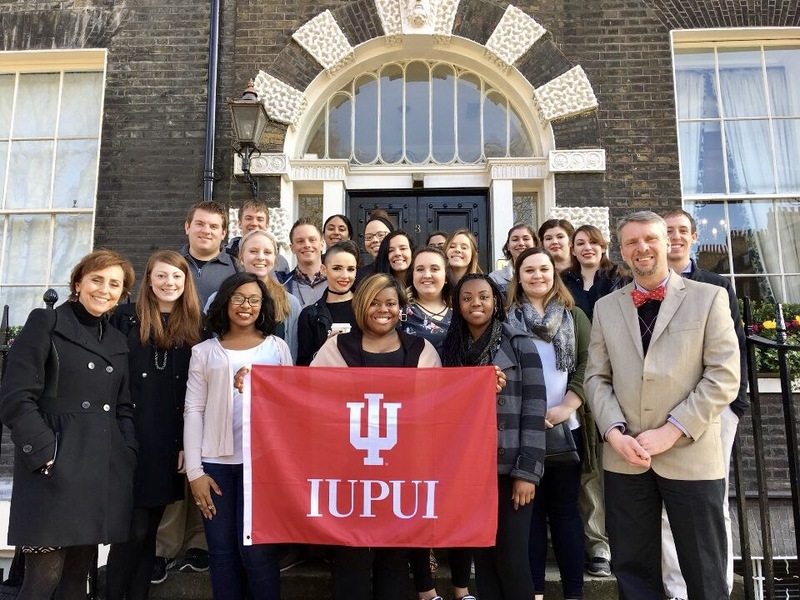 Dr. Sue Babich, Tom Duszynski and Sarah Johnson led a group of undergraduate and graduate students on a study abroad trip to London last week. The 19 students and faculty met with professors from the London School of Hygiene and Tropical Medicine, General Practitioners working in the National Health Service, and a patient panel to hear what it is like to be a patient in the National Health Service. The students also had opportunity to visit the site where John Snow's infamous Broad Street Pump stood. In addition, students visited the British Science Museum and the operating theatre of Old Saint Thomas Hospital as well as the Great Ormond Street Children’s Hospital. The group was in London for one week and partnered with the University of North Carolina. 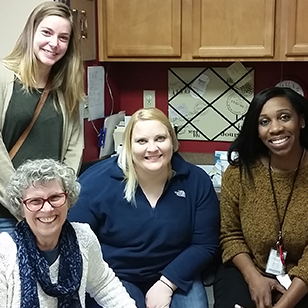 The Office of Community Engagement at IUPUI recently wrote about Dr. Duwve's work with the Scott County HIV outbreak. Read the full article here. 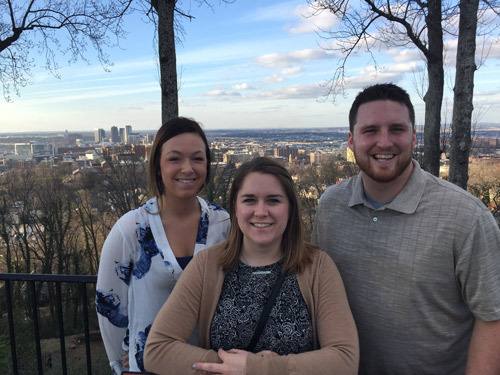 For the second year, the Department of Health Policy & Management sent a team of MHA students to compete in the National Case Competition held at the University of Alabama at Birmingham. The 2017 team members included Erin Catlin (MHA, 2018), Amy Gravelle (MHA, 2017) and Camaron Villecco (MHA, 2017). The team had three weeks to analyze the case, conduct relevant research, develop a comprehensive strategy and prepare a 20-minute presentation for the competition. Gravelle summed up the experience saying, "This is an excellent opportunity to conduct a thorough analysis of a real problem in healthcare and apply it to a formal presentation." Although the team spent countless hours preparing for the competition, they all agreed it was fun and worth the time invested. Villecco categorized it as a "wonderful experience." Catlin commented, "I had a great time getting to know my fellow teammates and MHA students from programs across the country." Join us for a joint biostatistics seminar at 1:00pm on Friday, March 24. Dr. Haoda Fu, Adjunct Professor in the Department of Biostatistics and the Research Advisor & Statistics Group Leader at Eli Lilly, will present, "Individualized Treatment Recommendation (ITR) for Survival Outcomes." Instead of fitting the data, our method directly search the optimal treatment police which improve the efficiency. To adjust censoring, we propose a doubly robust estimator. Our method only requires either censoring model or survival model is correct, but not both. When both are correct, our method enjoys better efficiency. Our method handles multiple treatments with intuitive geometry explanations. Our method is Fisher’s consistent even under either censoring model or survival model misspecification (but not both). This method has potential applications in multiple therapeutic areas. One direct impact for Diabetes business unit is that how we can leverage Lilly Diabetes’ broad treatment options to reduce or delay diabetes comorbidities such as CV event, diabetes related retinopathy, nephropathy, or neuropathy. If you did not receive a notification when the March 21 tornado drill was performed, this is a good time to verify your information is accurate and up-to-date on IUPUI notify. You will need to be sure both your cell phone and email are registered. IU Notify settings can be checked at one.iu.edu - logon and then search for IU Notify or use the link to go directly to the page. Please ensure your personal emergency contacts are up-to-date in the IU system. Emergency contacts are edited in the Employee Center accessed via one.iu.edu or you can use the link to go directly to the page.